What a week! Seems like I've been running and running! Yesterday and today I'm working on prepping for a class on Friday. 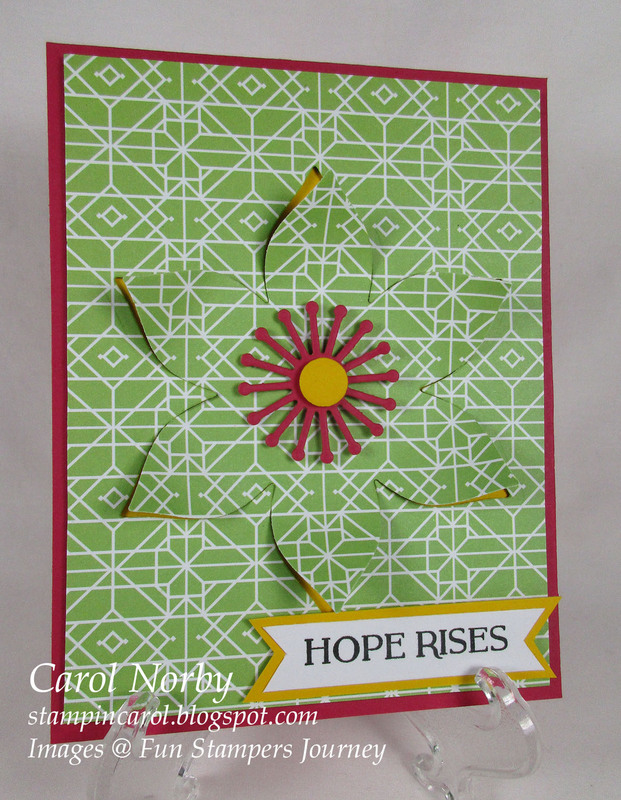 I'll be teaching how to make a Pop & Twist Snowman card. So, as of yesterday afternoon my desk was VERY busy! And giving you a look at my desk is part of a fun weekly blog tour of desks put together by our head desker, Julia at the Stamping Ground. 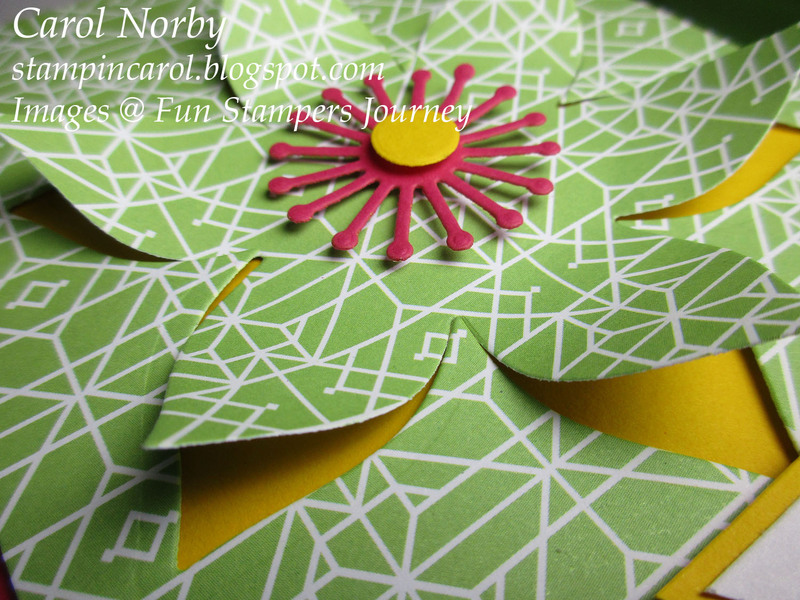 Left of my paper trimmer is the open set of directions I made of the card step by step. There are 7 pages. On the trimmer is a piece of paper for kits I'm putting together. One gal called and she has NO paper so I'm making kits to sell over and above the cost of the class. Further right is a pile of a kit in progress. Then my Amaze machine. It has been busy, too. As of Monday afternoon I had 5 students and chances are I'll get another 1 or 2 by tomorrow. But I did get to "play" a bit this past weekend. 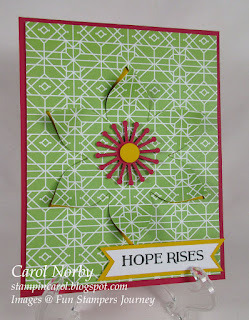 I seen a cool card on Pinterest and tried it with all FSJ products. I used a piece of our new Print paper and die cut a flower out of the center. I backed it and kinda reattached the flower. More die cuts and text and I think it turned out pretty cool. I'll probably try it again with a different set of dies. Such a simple design. Anyway, my post is over. Please head over to the Stamping Ground and check out links to other desks. You'll be all over parts of Europe and the U.S.
Good afternoon Carol. What a lovely card - unusual. Well done. Hope the class goes well on Friday.